These terms and conditions (Terms) only apply to products purchased direct from RGL Innovations Ltd. If purchased from another source please see their Terms. “Customer” means the person, body of persons, firm or company (acting in its own right or through any employee or agent) who purchases the Goods from the Company. “Goods” means any goods agreed in the Contract to be supplied by the Company to the Customer. “Contract” means the contract between the Company and the Customer which shall be deemed to incorporate these Terms. “Place of Delivery” means the place to which the Goods are to be delivered. In these Terms, reference to any statute or statutory provision shall be construed as a reference to such statute or statutory provision as amended, modified, re-enacted or replaced from time-to-time. “Intellectual Property Rights” means all patents, registered and unregistered designs, copyright, trademarks, knowhow and all other forms of intellectual property wherever in the world enforceable. All Contracts between the Company and the Customer are subject to these Terms which shall be deemed to be incorporated into any Contract between the Company and all or any of its Customers. In the event of any conflict between these terms and conditions and any other terms and conditions, whether express or implied, incorporated or referred to in any communication from the Customer then these terms and conditions shall prevail and the Customer’s terms and conditions shall be excluded in whole from the Contract. The Company’s acceptance of the Customers order (including telephone orders) shall be effective, and the Contract shall be deemed to come into existence, only where such acceptance is made by way of confirmatory email or letter by the Company to the Customer or where the Company commences delivery of the Goods to the Customer. Company may in its absolute discretion refuse any order for Goods placed by a Customer. All prices published on the Company’s Website are subject to variation at any time prior to acceptance of the Customer’s order by the Company. Payment must be made for in full prior to despatch of the goods, either by cheque or credit/debitcard or other means accepted by the Company. Goods will not be despatched until cleared funds have been received. Customers paying by cheque must allow at least 14 working days for bank clearance of the cheque. The description and illustrations of the Goods shown on the Company’s Website (or given to the Customer over the telephone or by fax) are intended to be an illustration only and shall not form part of the Contract. The Company shall not be liable for any variations in any specification or description of the Goods which do not materially affect the specification, use and operation of the Goods. The Company reserves the right to make any changes in the specification so as to conform to any applicable safety or other statutory requirements. The Goods should only be used with a BS/ISO regulation 7176-8 compliant wheelchair (or equivalent) in good condition. The Company recommends that the Goods should be used with an occupant under 200kg / 31.5 stone. Unless otherwise agreed in writing, the Place of Delivery shall be the address provided by the Customer. Any dates specified by the Company for delivery of the Goods are intended to be an estimate only. If no date is specified for delivery of the Goods, delivery shall be within a reasonable time. Subject to the other provisions of these Terms, the Company shall not be liable for any loss, whether direct or consequential, economic or loss of profits or otherwise, arising directly or indirectly out of any delay in the delivery of the Goods nor will any delay entitle the Customer to terminate or rescind the Contract unless the delay exceeds 60 days unless agreed otherwise in writing. The Company estimates that it willdeliver all orders from stock within 14 days of order. Our normal delivery time is 72 hours from stock to most locations within the UK; please contact us for delivery times and prices for Europe and the rest of the world. This excludes orders made on a weekend where it is 72 hours from 9am on the first working day after the date of the order. The Company offers a standard 12 month parts and labour warranty against the use of faulty materials and/or labour. All Goods must be returned to the Company’s registered office along with proof of purchase and details of where purchased. You (the Customer) will need to arrange delivery and collection from the Company at your cost. The Company is not responsible for the Goods until delivered to us. Faulty products or parts must be returned to the Company before we can send out replacement parts or products. We reserve the right to charge for any replacement parts, where the faulty part / product has not been returned or parts are found to be missing. The Goods have to be returned in their original bag, unless otherwise agreed in writing. We will not accept any poorly boxed Goods or Goods damaged in transit. It is the responsibility of the Customer to ensure that the Goods are boxed and fit for transport. We are not responsible for any damage caused in transit via a third party courier or delivery service. We reserve the right to refuse any such delivery. Please note we cannot supply replacement packaging. Any repairs carried out by third parties, other than those done with our express written permission, will invalidate the warranty, if we replace any Goods under the 12 month warranty period the replacement item is only covered for the remainder of the warranty period. If damaged Goods returned are found not to be defective and in full working order, they will be returned to you at your expense. The Company will charge for the cost of testing the equipment along with the cost of carriage, to cover the costs incurred. All payments due to the Company must be made before the item is returned to the Customer. The Company will not permit the transfer of warranties to subsequent owners. • Consumables or Perishables such as the rubbers, knobs. • Parts which need adjustment, re-setting, replacement or repair due to abuse. • Undue care or accidental damage. • Any repairs or modifications not undertaken by an authorised representative of the Company. • Alterations or unauthorized repairs, collision damage. • Damage that is not considered to be a result of component failure, material fading over time through sunlight. • Customer shall have no rights or claims under any warranty following the non-usage or Non-enjoyment of defective Products. • Failure to follow the Company’s user instruction or guidance or damage during installation. • Damage due to being improperly packaged and shipped. • Physical damage to products, negligence, wilful damage, misuse. • Use over the specific weight limit 200kg/31.5 stone. • Use on a wheelchair that is not a BS/ISO regulation 7176-8 compliant and is not in a good condition. •Products sold as clearance, demos or used stock or on auction sites such as Ebay are sold on an as seen without warranty unless specified. •Improper use of the goods. Risk in the Goods shall pass to the Customer on delivery. The Company has no responsibility for any improper use of the Goods or any damage caused to the goods by improper use. Goods Faulty on Arrival. If you are reporting faulty Goods within 14 days of receipt and when the Goods are returned to us complete, we will issue a full refund to you via your original payment method. Goods have been returned to the Company; the Company will issue a full refund to the Customer via their original payment method. Goods Faulty in Warranty Period. If the Customer is reporting faulty Goods after 14 days of receipt, then provided the product is within its warranty period, the Customer is entitled to a warranty repair or replacement. This does not affect the Customers rights to claim against the Company under the Sales of Goods Act (as amended) if the Goods do not conform to the contract. Change Your Mind. If the Customer changes their mind and is a Consumer (not applicable to business customers), and the Goods have not been in their possession for over 14 days, then the Customer is entitled to return the Goods to the Company for a full refund on condition that the Customer take reasonable care of the Goods until they are returned to the Company. In particular this means that you will: – not open shrink-wrapped or blister pack products or break any manufacturer’s seals. – return in good condition including all packaging, manuals, belts etc – return the Goods in a condition that would enable the Company to resell them as new- Please note that if the Customer changes their mind the cost of returning Goods is the responsibility of the Customer. Proof of postage is not proof of delivery and the Customer is strongly advised to return the Goods by recorded delivery, registered post or courier and to insure the Goods for their full value. The Company does not accept liability for damage in transit. It is the Customer’s responsibility to package the Goods adequately. Failure to notify the Company of the non-delivery of the Goods within 14 days of the due date for delivery will release the Company from liability for claims for non-delivery. Goods retuned under 30 day money back guarantee – To return a product under the 30 day money back guarantee (0r other time related money back guarantee period at the time) please call our Customer Services on 01132 093299 (if within the United Kingdom) for a Return Authorisation Number and return the product within the required time as per the offer on the product at the time of purchase. 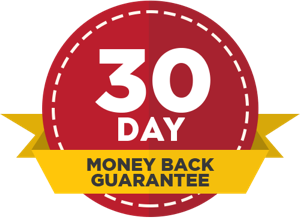 Products that come with a money-back guarantee will receive a refund of the purchase price, less any applicable shipping and handling. We will not be responsible for any loss or damage to returned products that occur in transit. To qualify for the money back guarantee the product must be returned in pristine condition in the original packaging. If returned products are lost or damaged in transit, we reserve the right to charge you for , or not refund any amount attributable to, such product or loss or damage. Should you experience any difficulty or delay in returning a product and securing the proper refund, please e mail us on info@wheelchairliberator.com. Unless otherwise stated in the manufacturer’s documentation supplied with the Goods, all Goods delivered to a UK mainland address carry a 12 month manufacturer’s warranty. The Goods carry no other warranty. Customers who wish to make a warranty claim must comply with the warranty procedure at section 7 (seven) of the Terms. Details regarding the manufacturers warranty are available from the Company upon request. The Company shall under no circumstances be liable for any consequential or indirect damage or loss, however caused, included (but not limited to) loss of business or profit, loss of goodwill, damage to trading relationships, loss of date and other financial loss. The Company’s liability in respect of all other losses shall be limited to the purchase price of the Goods. • Failure to follow the Company’s user instruction/guidance and inspection / maintenance guidance. • Use of the Goods which need adjustment, re-setting replacement or repair. • Use of the Goods which have been subject to abuse, undue care, negligence, misuse or damage. • Use of the Goods which have had repairs or modifications undertaken by a non authorised representative of the Company. • Use of the Goods on a wheelchair that is not a BS/ISO regulation 7176-8 compliant (or equivalent) and that is not in a good condition. • Use of the Goods with an occupant over the specific weight limits (200kg/31.5 stone). • Use of the Goods with an inappropriate number of operators, taking into account the weight of the wheelchair occupant and the capabilities of each of the operators..
• Any other misuse,action of careless behaviour of the operator or wheelchair user. • Any failure to take reasonable care by the operator or wheelchair user. Any liability of the Company is limited to the purchase price of the Goods. The Customer shall be deemed to have examined the Goods upon delivery thereof (time being of the essence) and to have satisfied itself that they conform to the Contract. A claim that Goods are not in accordance with the Contract will not be accepted by the Company unless notice in writing, specifying the alleged default, is given to the Company within 14 days of delivery of the Goods. VAT (Value Added Tax) is payable on all invoiced prices (where applicable) at the appropriate rate ruling at the tax point. If you do not qualify for VAT exemption or the product is not zero rated, we have to add 20% to the total amount due. You, the Customer are liable for any local country taxes/ duties should these arise, and information given on any forms we supply. Import Duty varies from country to country, if you are unsure; please contact your local Government Importation Office. (1) You are a registered charity, are chronically sick or disabled or the products are being purchased on behalf of an individual who is chronically sick or disabled. (2) The Goods being supplied by the Company are for personal or domestic use. (3) You claim that the supply of the product is eligible for relief from VAT under the VAT Act 1994. During the checkout process you will asked if you can claim Vat relief. If you do not complete the electronic VAT Relief section, we reserve the right to charge VAT on any such order. The Customer shall not be entitled to assign or transfer, in whole or in part, the benefit or burden of the Contract without the Company’s prior written consent. The rights and remedies of the Company set out in these conditions shall be in addition, and without prejudice, to any other rights and remedies which may be available to the Company at common law or under statue.